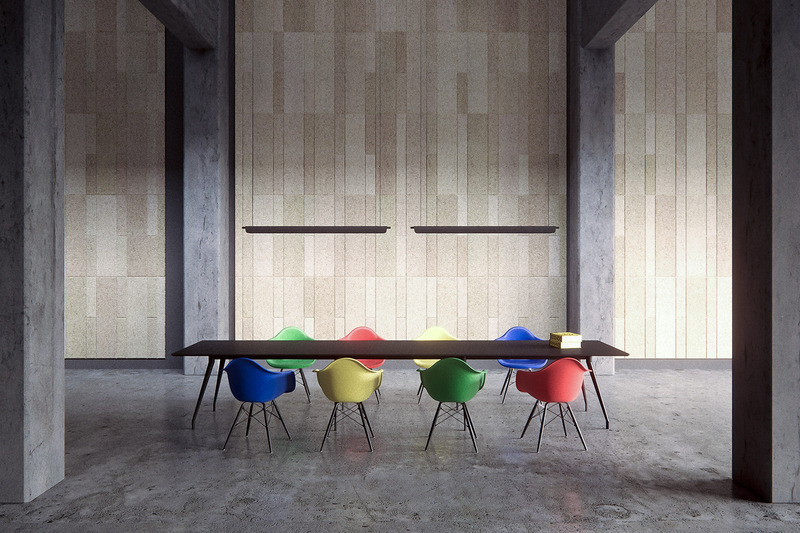 Plank, the new product by Swedish acoustic specialists Baux, is an acoustic tile inspired by bricklaying, parquets, and woodwork. 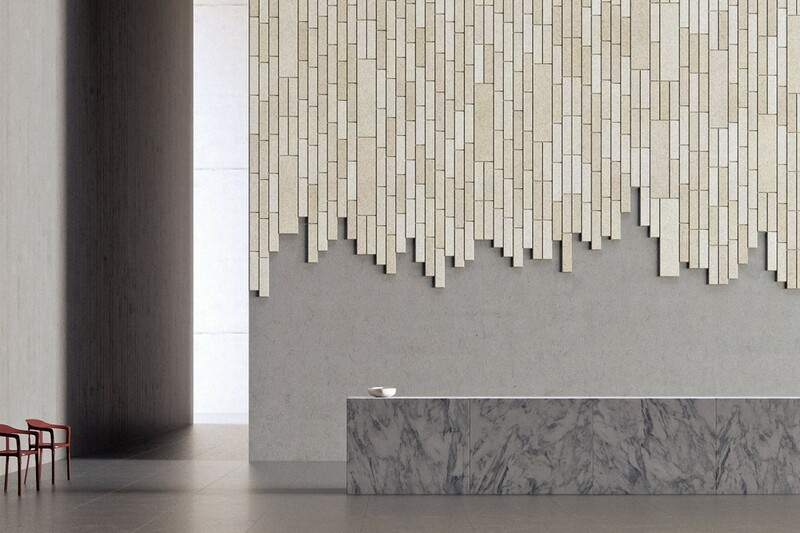 Plank is a natural wooden texture that can be combined in numerous ways. It comes in two rectangular sizes and is easily assembled and customised to create herringbone, basket weave, diagonal, or brick patterns. Like the previously released Baux Tiles and Panels that we featured last year, Plank is made from a wood wool, cement and water mix. Whereas the tiles and panel products are coloured, Plank comes in only its natural colour which means it can be cut to size to fit any space in much the same way bricks are cut to a space. 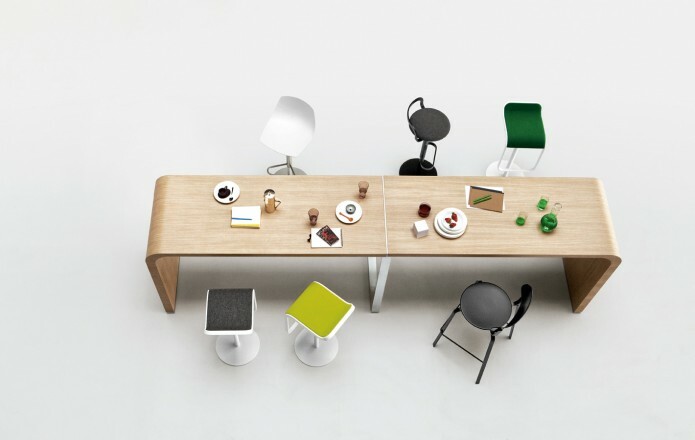 Brunch by lapalma is a system of tables composed of a curved honeycomb board in several heights and two sizes. Based around a system of versatile asymmetrical modular table components, Brunch modules can be arranged together and combined into a variety of shape and height combinations. New from +Halle is the Nest Collection. Nest introduces a fresh interpretation to traditional seating arrangements by taking the furniture to new heights. Designed by Form Us With Love, the same design house that brought us Baux acoustic products, Nest simply adds a second tier to the the seating and table range. The two optional heights offer an opportunity to create dynamic settings in any environment, without compromising the level of comfort. Fascinated by the typologies of pedestals, such as the Umpire’s chair on a tennis court and driving an SUV, the FUWL studio experimented with a lofty landscape, adding the element of dignity and softness – to a seat with a view. 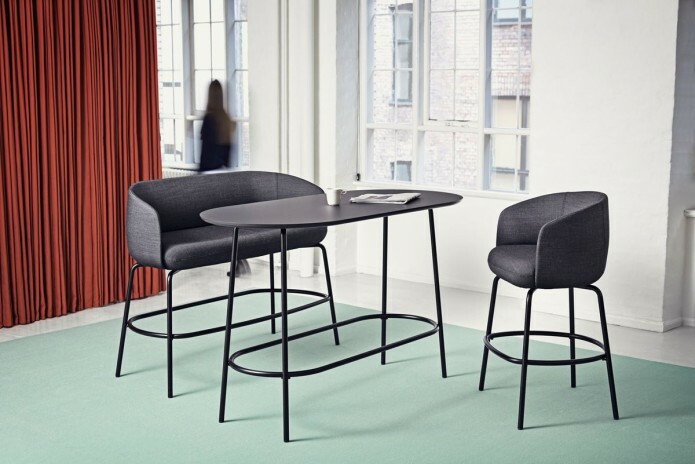 “We believe that a comfortable high seat is a natural part of any lounge and bar environment, providing the opportunity to sit longer at a tall table”, says John Löfgren, Creative Director at Form Us With Love. The different levels create a range of new possibilities with Nest’s variation in heights, space can be divided subtly, keeping the space open and inviting without compromising visual or functional elements. 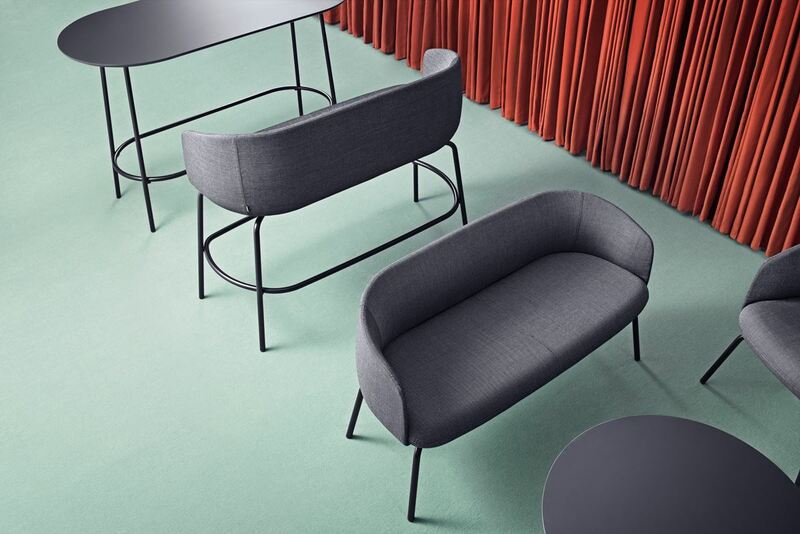 The Nest range initially comprises a sofa and armchair and a round and oval table. All elements are available in high and low versions. 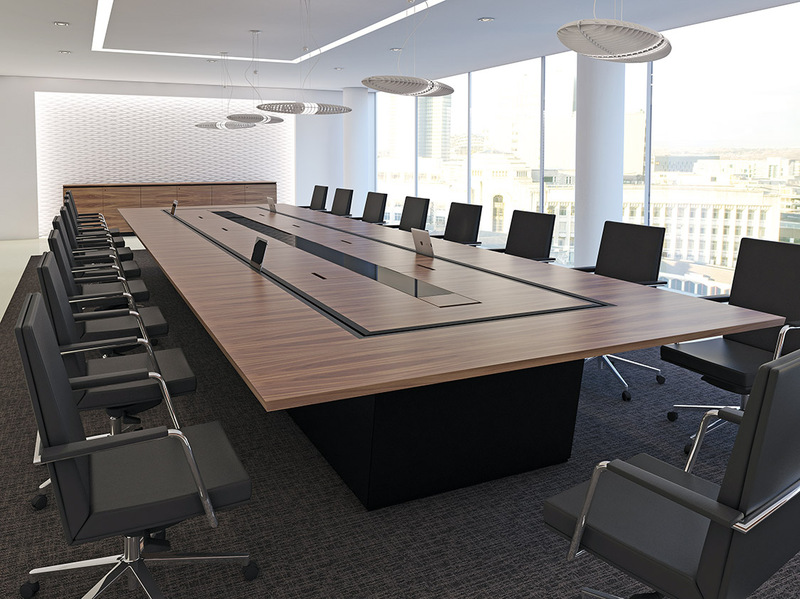 Boardroom suites are often the flagship area in a modern corporate environment; requiring easy access to IT and supporting services while catering for a large number of demanding users. 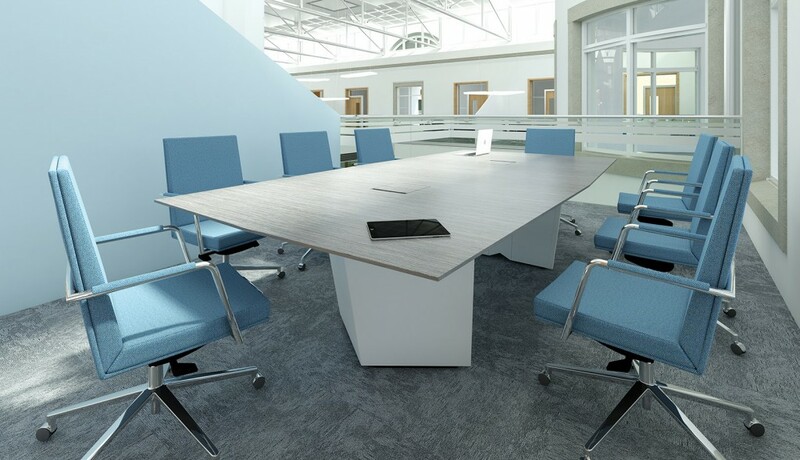 INFINITY tables by HANDS of Wycombe have been specifically designed to cater for these requirements. INFINITY has been specifically designed to be a complete and fully integrated meeting, conference and boardroom table system. The purposeful design features considered proportions, clearly defined linear forms and refined signature details. 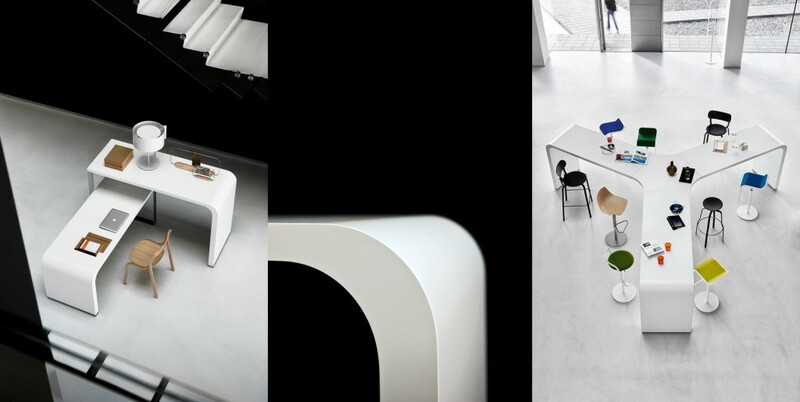 The INFINITY range comprises six styles of table base (we like Prism and Solo) each with easy cable access and a choice of three standard table top shapes. INFINITY signature details include 23 veneer top finishes and 6 solid lacquer colour finishes for the bases and inlays. A wide selection of additional features include flush fitting inlays in glass, leather, granite or corian. Mitre veneer feature wraps can be added around a central feature and flush-fitting leather inlay stands to accept tablets and smartphones can be included. Access flaps with soft close mechanisms are also available. INFINITY tables can also be tailored by size or finished to meet the needs of the client’s exact aesthetic requirements. An extensive range of complimentary products completes the range including storage units, credenzas and media units.